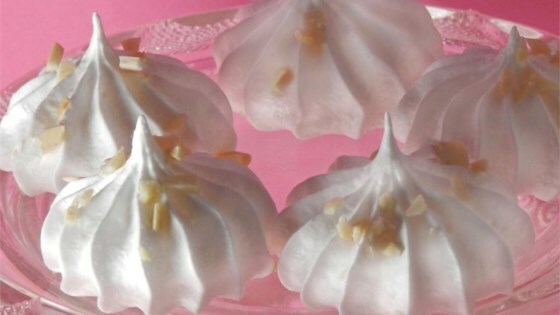 "It is a simple meringue cookie made at Christmas time." So light and delicate! What a winner. I'm making these for my cookie table. I'm getting married in August, and these are going to be a great addition. Delish! I would totally recommend this to people who love merengue.